Beverly "Guitar" Watkins picked up her first guitar when she was eight years old. With her 80th birthday just days away, the Georgia blues artist is still playing. You might recognize Watkins from the viral videos that pop up from time to time of a grandmother picking a fiery solo, sometimes, like Hendrix, with her axe slung behind her head. In a 2015 interview with CNN, Watkins talked about how one night, immediately following a concert, she suffered a heart attack, only to then learn she had lung cancer. She beat both and was soon back on stage. "Playing until I can't play no more. Something happens, they put me in a wheelchair, they'll have to push me up on stage," she told CNN. "Because I'm a dedicated musician." In her younger days, she opened for Aretha Franklin, Ray Charles, and more. 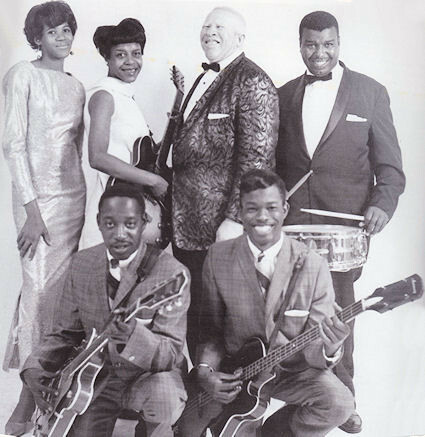 Throughout the 1960s, she often played with Willie "Piano Red" Perryman, including a stint with his Dr. Feelgood & The Interns. Watkins has played all around the country and world, gigging regularly to this day in and around Atlanta. To honor her playing and her dedication, we've rounded up some of her best performances you can find online.